The most anticipated show of the year. And I feel so privileged to have experienced it live. It was phenomenal. 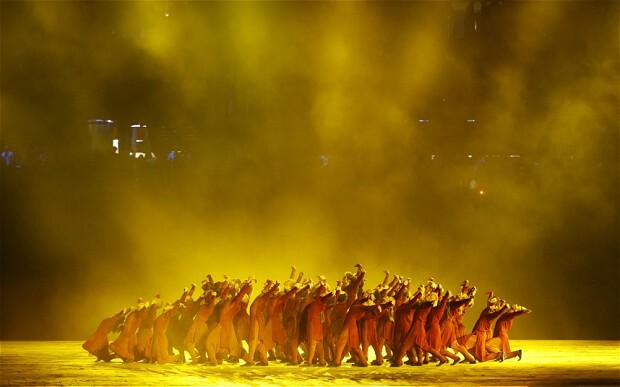 A lot of people have been comparing it to the 2008 Beijing Opening Ceremony. But I don’t think you can really compare the two. Beijing was an incredible spectacle, showcasing militant discipline and precision. London, on the other hand, had a unique flavour to it – it was truly London-esque. It celebrated the best of British culture and history in a dry, witty and humourous manner. It embraced different strands of society. Maybe some of it doesn’t make sense to the global audience, but it gave credit where it’s due. For example, there were comments on how irrelevant NHS and GOSH (Great Ormond Street Hospital, renowned for child healthcare) were. But despite all the negative press NHS gets, maybe it is something us Brits should be proud of and grateful for. I think it’s great the performers were NHS nurses. And so yes, maybe not everything is relevant to the whole world, but it was our chance to celebrate what we are/should be proud of. I was also very proud of my friends who performed for the ceremony – they rehearsed week after week after week! We celebrated James Bond and the Queen ‘jumping’ out of a helicopter (I think there was a split second where all of us like woah, nooo, you are kidding me, the Queen isn’t in that helicopter hovering over our heads…), Mr Bean, Chariots of Fire and his Olympic dream, some of the best loved characters from British children’s literature (Captain Hook, Mary Poppins, Lord Voldemort (maybe not so loved :P) accompanied by readings by J K Rowling, The Beatles along with some of the best UK tunes of the century… so much to celebrate! 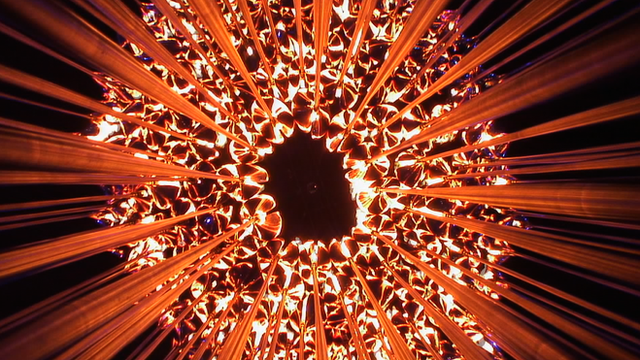 Seven young athletes representing UK’s hopes for the future lit the cauldron, made up of petals that went around the stadium with each country… tying the whole theme of London’s Olympics together – bringing the world together in peace as well as to ‘Inspire a Generation’. My absolute favourite part of the show though was Akram Khan’s piece. So incredibly beautiful. It paid tribute to the loved ones lost by those in the stadium as well as to those lost in the 7/7 London bombings.